Seller engine is a company that has historically focused on listing software, along with Amazon repricing software. 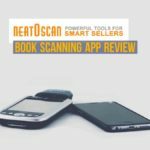 However, they also have book scanner apps for Android and iPhone that is free for light use. This app used to be a one time cost of $15.00 (no monthly cost). However now they require a $10 monthly fee if you use it more than their free plan allows. This is a system that gives you live price lookups, offers sales rank and FBA pricing data. This is one of the best value scouting tools that offers incredible value for the money. The only catch is if you want to use a Bluetooth with it it will cost you another flat rate of $49. Otherwise, you’ll just have to use the camera on your smartphone to scan, which works perfect for most of the applications like this, but it is much slower than a laser scanner. I believe that they are offering this application inexpensively because they are trying to get people to integrate eventually into their seller engine products, which does charge a monthly fee of $50 and up. Track data: You can monitor and record a lot of information as you are scouting. Calculate profit: You can also calculate your profit per book based on the by price. You have to set this up before hand but is a very nice feature. 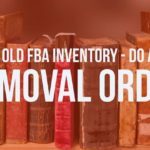 I like the fact that you can calculate all the FBA fees, and instantly see your profit based on each book or item that you purchase. Low Price Point: for only $10 a month, this is not a bad deal at all to get started selling on Amazon. Live book scanning application: The live applications offer slower scanning but to give you up-to-date pricing information. Local database scanning application: the local database scanners are much quicker and efficient when scanning a lot of items. In general, when scanning a lot of things you want to go to a local database scanning application because you can scan may more items in a small amount of time. Since profit bandit is a live book scanning application ( you can also use it scan any other item with a barcode), you may be wondering why it’s better to have a PDA system or use your iPhone. A few years back to get a local database, you need a PDA. Now, you can usually use your iPhone or Android and parrot with a Bluetooth scanner. It seems that the book scouting / scanning companies are offering the ability to add local database options for the iPhone and Android applications. Before they only offered live scanning iOS and Android applications typically. Live database applications like profit bandit are nice because they can have a lower monthly price. However, local database applications like Neatoscan and Asellertool are great because they offer very fast scanning. The common misconception is that PDA systems only work for media and books. This is not true in many cases: it just depends on the company. Certain companies will allow you to scout toys games etc. but not everything. When do you need live pricing? Overall, Profit bandit is a great book scanning at that can get started with quickly. It only cost $10 a month, so it won't be too costly. However, it will give you all you need to get started selling on Amazon quickly.